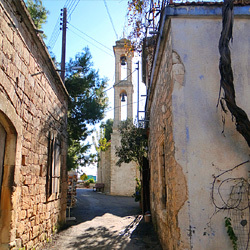 The village of Lofou is in the district of the ‘ampelochoria’ between Limassol and Paphos, about 26 kilometers northwest of the city of Limassol. Lofou is built in a circular pattern on hills, at an altitude of 780 meters and has a total of about 650 centimeters in annual rainfall. It is surrounded by mountains with narrow and steep versants. 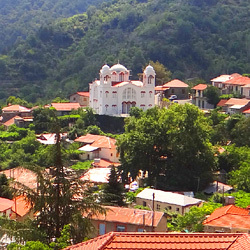 The landscape is divided by two rivers that are canals of ‘Kryos’ and ‘Kouris’, which both come from the river ‘Kouris’. Lofou is connected with nearby villages by asphalted lanes. It is connected with ‘Pera Pedi’ village in the north (at a distance of 6.5 km) and from the southwest with ‘Saint Therapon’ village (at a distance of 4.5 km). In the southeast it used to be connected with ‘Alassa’ village. The whole village was reconstructed in another location as it was flooded by ‘Kouris’ weir. From the east side, Lofou is connected with the villages of ‘Sylikou’, ‘Monagri’ and ‘Doros’. Today, it takes about 25 minutes to reach the village for someone setting out from Limassol. Driving up the main road that leads to Platres and making a left turn after Alassa village (current position), the visitor may be able to reach the village within 15 minutes. The village is built on a hill between mountains and gets its name based on this fact. The name Lofou was inspired by the Greek word 'lofos' which means 'hill'. 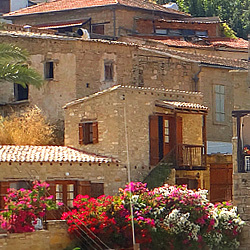 The original name of the village was "Lofos" since the early 20th century. 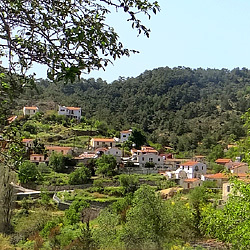 Simos Menandros (1970) supports that the renaming of the village from "Lofos" to "Lofou" may be attributed to a linguistic change in the everyday language of local farmers. Therefore, 'Lofou' ended up having a female gender because of a linguistic change in morphology. 'Lofou' is the name by which the village is nowadays widely known and referred to. There are no historical findings that may help us define the exact date on which 'Lofou' was founded. The area must have been inhabited since the Bronze Age. This fact may be verified by the various archeological findings, particularly by the ancient pots that they were scattered around the area of the village. 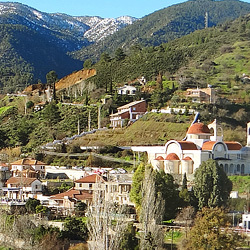 The dominant view regards that the village must have been founded some years before Cyprus was occupied by the Franks in the late 12th century. During that time and because of the Arab raids, the locals were forced to abandon the coasts and move to the inner parts of the island in order to find refuge. The location of the village was truly ideal for their needs since it is hidden in the mountains and, as a consequence, it provided a sense of security. 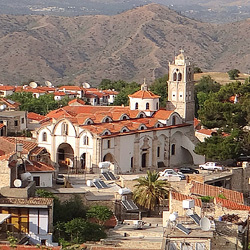 The first written evidence of the village's existence dates back to the Frankish times of Cyprus. According to a medieval handwritten document by Leontios Machairas, Lofou along with other villages was handed over by King Jacob I (1382-1398) who ruled Cyprus, to his brother Janot de Luzinian, Lord of Beirut. 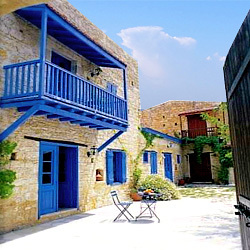 According to a Venetian handwritten script provided by Mas Latri (1861) and which dates back to the late 15th century, Lofou was included in the list of villages that were considered property of the king of Cyprus. Mas Latri refers to the village using the name 'Lofou'. 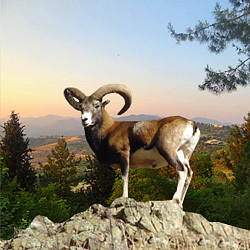 There are historical records which report that shepherds who inhabited the area of 'Finika' used to herd their flocks at a distance that reached the present location of the village. They also used to overnight in a cave near the village that still exists today. The first houses in Lofou were actually farms scattered around the valley of the village. The shepherds gradually built huts which they called "stiathkia' and at a later stage they built houses using stones whose roofs were made of wood and mud or clay (Porakos, 2004). During the Ottoman rule, the village belonged to the 'kaza of Koilani' and it was registered under the name "Lofos" (Papadopoulos, 1965). In 1832, according to T. Papadopoulos (1965, p. 208) Lofou had only Greek Cypriot residents. Mas Latri also mentions that according to the census that was carried out in 1862, the village exceeded the 200 inhabitants. 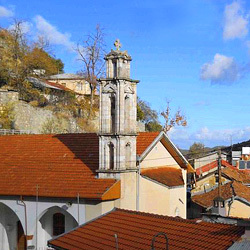 Towards the end of the Ottoman rule two notable events occurred: the construction of the church of Lofou the beginning of an organized form of primary school in 1855. Lofou was transformed into an enormous vineyard during the period of British rule. The continuous planting of vines changed the entirely the view of the village. The sight was majestic when the vines were blossoming amongst the beautifully constructed and well preserved terraces. The locals were also engaged in cultivating cereals and locust trees. In the following decade, Lofou and Cyprus in general, underwent a severe economical and political crisis. At this period, the daily life of farmers became really difficult and for some it was almost unbearable. Residents were forced to sell their properties at ridiculously low prices, since they were no longer able to borrow money. In the same period, there was also an intensified political situation at Lofou and in Cyprus in general. The expectations of Cypriots for unification with Greece were not fulfilled. The British Government denied their request and this caused a general disappointment to the public and sharpened the political passions. 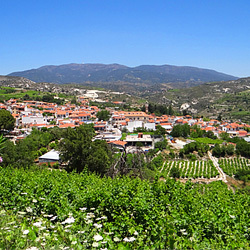 Regarding the relation between Ypsonas and Lofou, it is widespread perception that the village of Ypsonas, one of the largest villages in Limassol district, was founded in the 19th century by the inhabitants of Lofou. However, this assumption is not true. What can be said is that Ypsonas already existed as a settlement since the medieval times and in modern times it was inhabited by the people of Lofou around 1770. Until the early years of the 20th century, the residents of Ypsonas were very few. 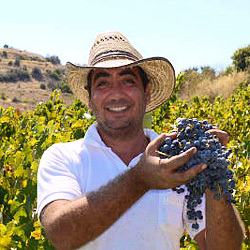 Gradually, more and more farmers from Lofou started moving permanently to Ypsonas. During the British rule in Cyprus, it was noted steady population decline of Lofou for the benefit of Ypsonas. After First World War and especially after Second World War, there was an impressive increase in the population of Ypsonas accompanied by a dramatic decrease in the population of Lofou. The years of the Cyprus Republic confirm that the population increase of Ypsonas and the population decline of Lofou are two final events. The period 1946 – 1986 may be characterized as a 'blessing and a curse' for Lofou. "Curse" because the village was abandoned by its inhabitants and vibrancy was lost from the daily routine of the remaining residents. That period was also a 'blessing' for the village because, in general, it remained intact, without any substantial alternations in the architecture of the houses; as a unique example of a traditional Cypriot village in the countryside. A legacy of fine traditional architecture that we may today admire. In 1987 the founding of Lofou Association launches the aforementioned spirit which is till today prominent in the village. Simultaneously, Lofou Association intends to develop and tighten the bonds of friendship, brotherhood, cooperation and mutual understanding of all Lofitians as well as the friends of Lofou. Perhaps the most important fact for the village is the effort to restore and preserve private and public buildings in the village. 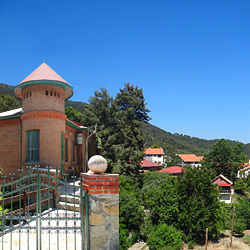 Within the context of a larger project for the restoration of the entire village, the Department of Urban Planning encourages the restoration of houses and provides financial help to the owners. A special zone has been defined that virtually includes the entire old village where the houses have to be preserved or be constructed according to specific instructions. 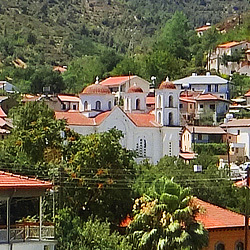 Today the restored houses of the village with their beautiful wooden balconies, the narrow cobblestone streets, the neoclassical school, the magnificent church, the traditional olive and flour mill in the rural museum, the taps and cisterns and numerous other small beautiful details that constitute the village attract the visitor and each one of us. 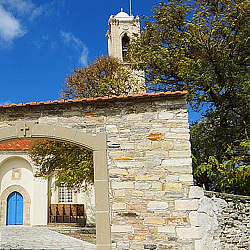 There is massive human presence in the village during special events like the 'Palouze Festival' every last Sunday of September, the commemoration of the hero of Lofou 'Ioannis Stavrianos' and the 25th March feast of the Virgin Mary. Lastly, the two traditional taverns of the village and the newly built hotel along with other constructions that exemplify traditional architecture may offer moments of traditional Cypriot hospitality to every visitor.